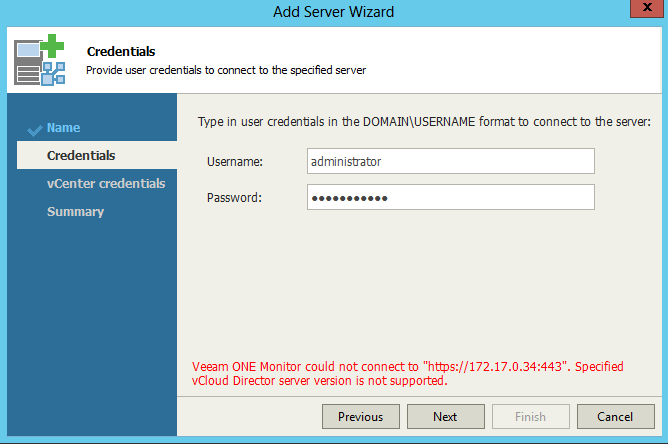 Quick Fix: Specified vCloud Director is not supported when trying to add vCD 9.1 to Veeam ONE - VIRTUALIZATION IS LIFE! vCloud Director 9.1 no longer supports vCloud API versions 1.5 and 5.1. These API versions were deprecated in a previous release. 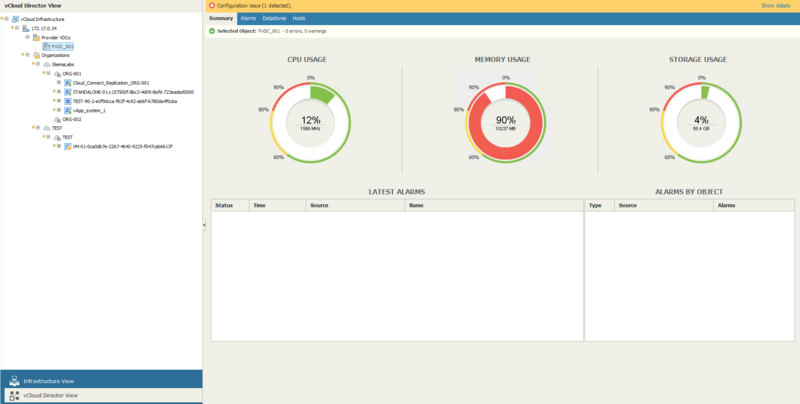 vCloud Director 9.1 is the last release of vCloud Director to support any vCloud API versions earlier than 20.0. Those API versions are deprecated in this release and will not be supported in future releases. Due to this, and being mid release cycle, Veeam ONE had issues connecting to vCD instances that where running version 9.1. Over the past few months i’ve had questions around this and if it was going to be fixed by way of a patch. While we are waiting for the next release of Veeam ONE that is due with Veeam Backup & Replication 9.5 Update 4 there is a way to get vCD 9.1 instances connected into the current build of Veeam ONE. There is a HotFix available through Veeam Support to resolve the Known Issue. It involves stopping the Veeam ONE services, replacing a couple of DLL’s and then re-starting the services. Once implemented Veeam ONE is able to connect to vCD 9.1. So if you have this problem, raise a support case, grab the HotFix and the issue will be sorted.